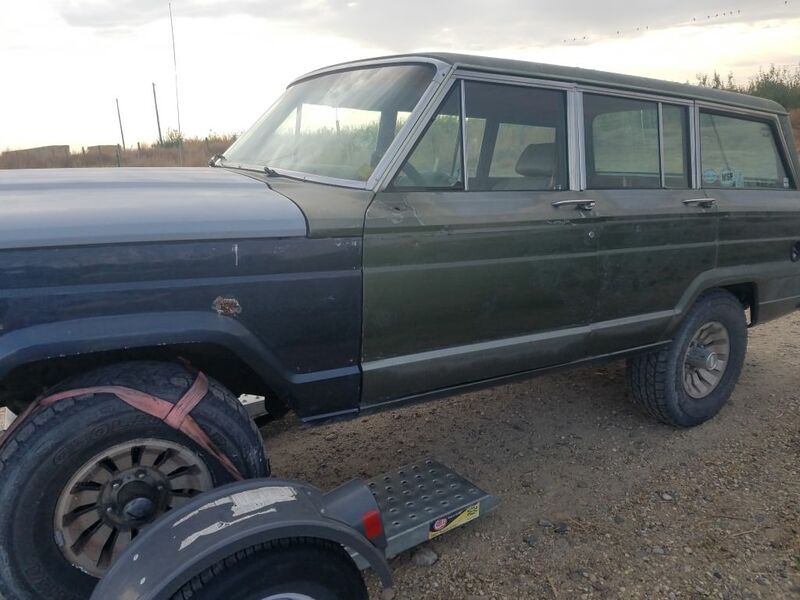 Well, it's now time to paint the Grand Wagoneer. Back in May, I was sideswiped and had to replace the hood and driver front panel. 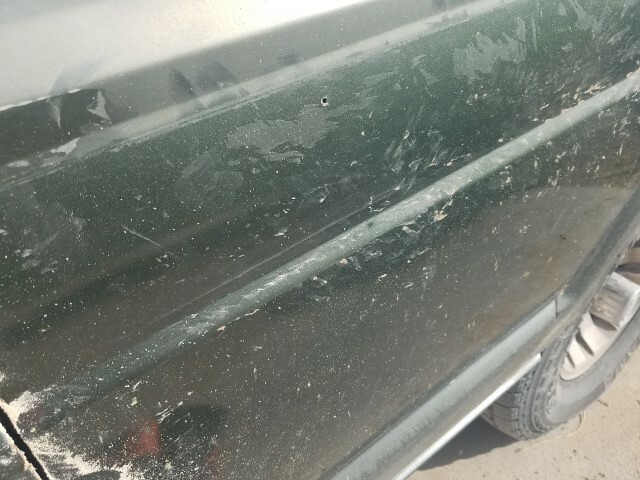 There was a dent in the passenger door when I bought it and the auto body shop that did the work for the accident said it would be 600 bones to pull the dent out of the door, but I found a replacement at a pull apart for only $100 bucks. Spent a few hours this past Sunday getting the door on. To be fair, it took 20 mins to pull the trim, wires and door off. About 10 mins getting the door back on and a whopping 2 hours getting the door aligned properly. I will say, there was much beer consumed and salty talk because that [BEEP] door just didnt want to play nice. It's been my experience that the more prep you do, the more reasonable the painter will be. Just do what you can to make it as easy as possible for him and you may get the paint job you want. If your going to replace the woodgrain and trim later, why fill in the holes? That will make it much harder to replace everything... IMHO. 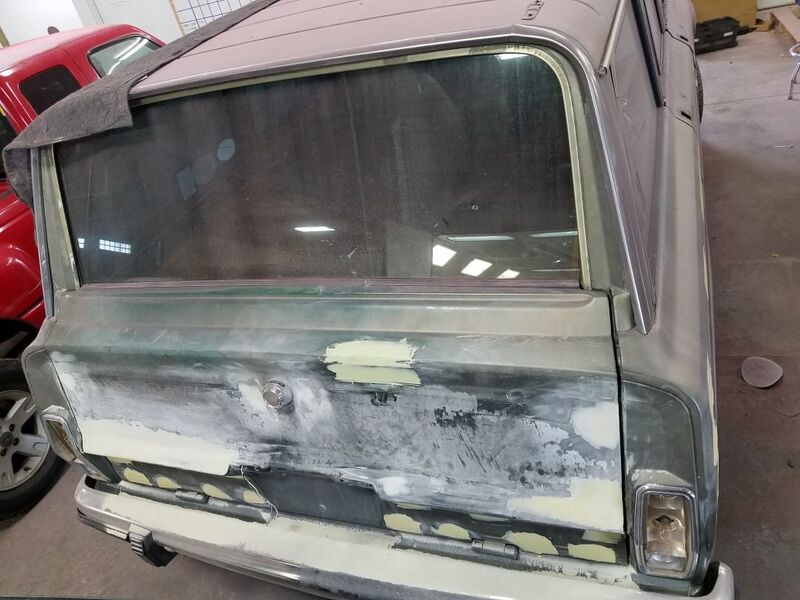 And the burned paint on the inside to fix so it doesn't rust. Then there's the new holes that'll rust unless you're going to use an adhesive or foam tape to install the trim. Mine turned out great. 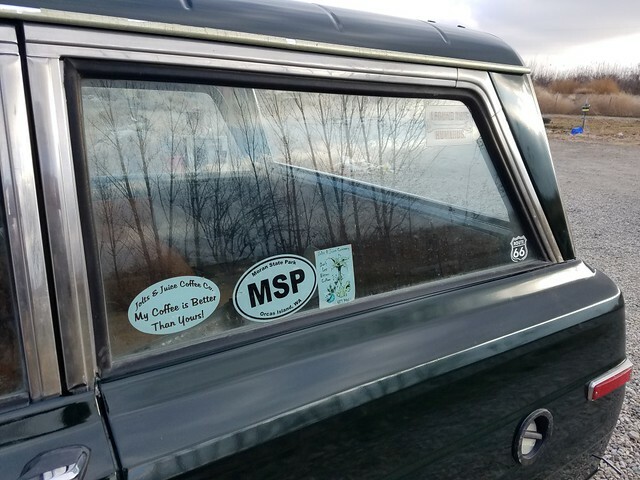 I did the vinyl myself. Ordered a non original color that I liked from metro restyling's ebay page. Rewrapped my own trim. Saved a ton of $$$. Never had done anything like this before. I am happy with how it went. 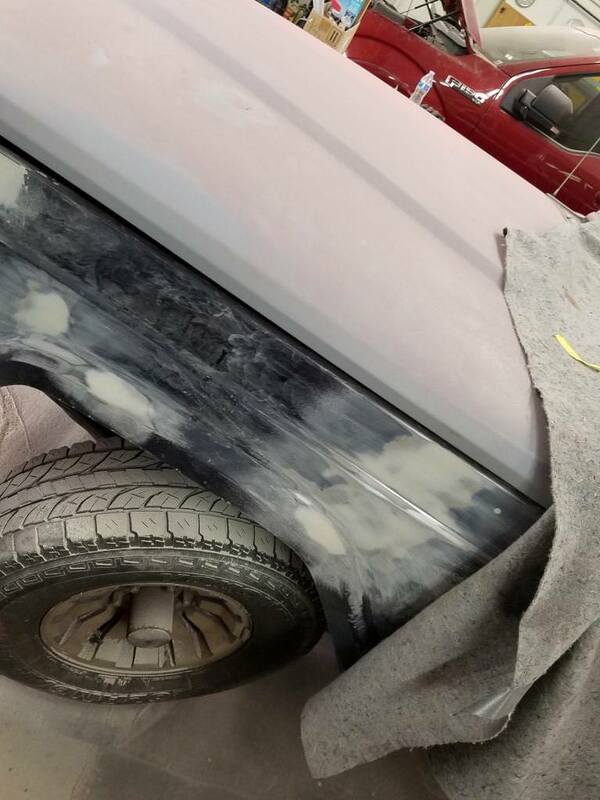 After the paint gasses off thoroughly, get some microfiber cloths, rubbing alcohol, a heat gun, and some posterboard for templates. Roll up your sleeves and get to it. 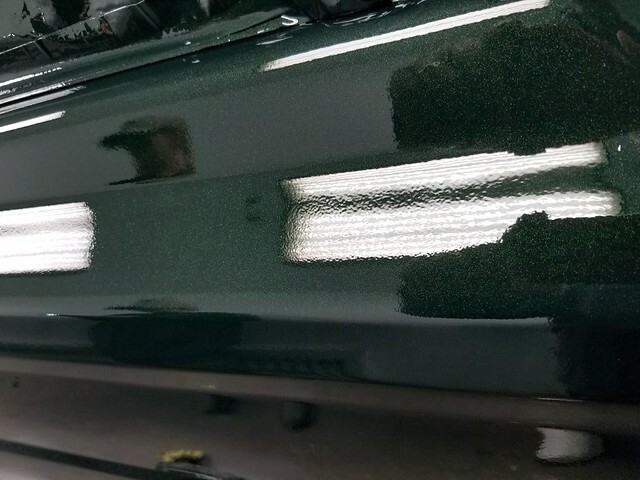 I can't recommend the 3M #94 adhesive primer enough. Get it! 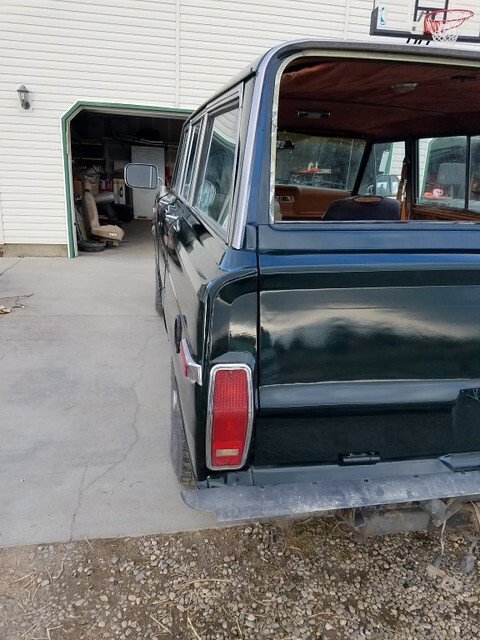 Saw a place on eBay a few years ago that would sell you some wood trim for about $300? Maybe less. If you sent in your old ones first so they could re paint them. Probably the route I'll go. Holy crap that looks nice. How long did it take you to cut out the pattern? 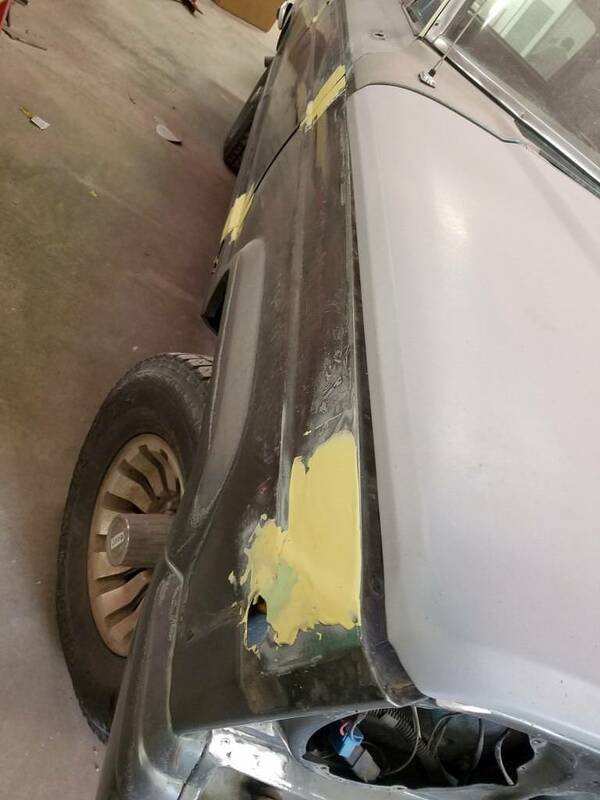 I don't know if I can revinyl it... pretty much no talent. Most the replacement trim I have seen is stick 'em, which is why I am having the holes filled in. 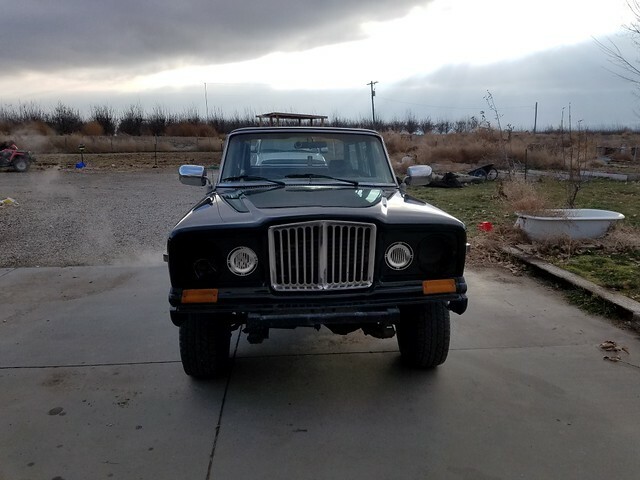 Not to mention that I do not have garage space for this vehicle, so it is going to be out of doors. If I can't get to covering the holes with vinyl and sticky trim tape until Spring, I don't want all that wet getting in my doors. I used posterboard and made templates. That way, all my fudge ups were on $0.33 paper. The vinyl really isn't much on the talent side. It is big on the patience side. Good luck with the prep work but I have one question. Once you bust a Waggy out of the wood crate, why go back? but if you want a good looking Wagon for a DD or to sale the wooden crate is the way to go. 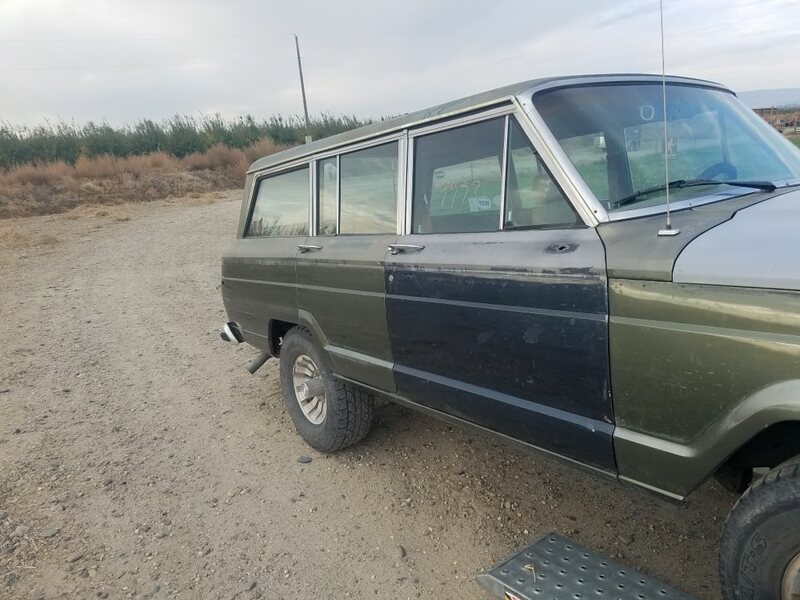 This is my DD, fishing hole finder, camping, road tripping, desert/mountain/prairie What's Over There vehicle. 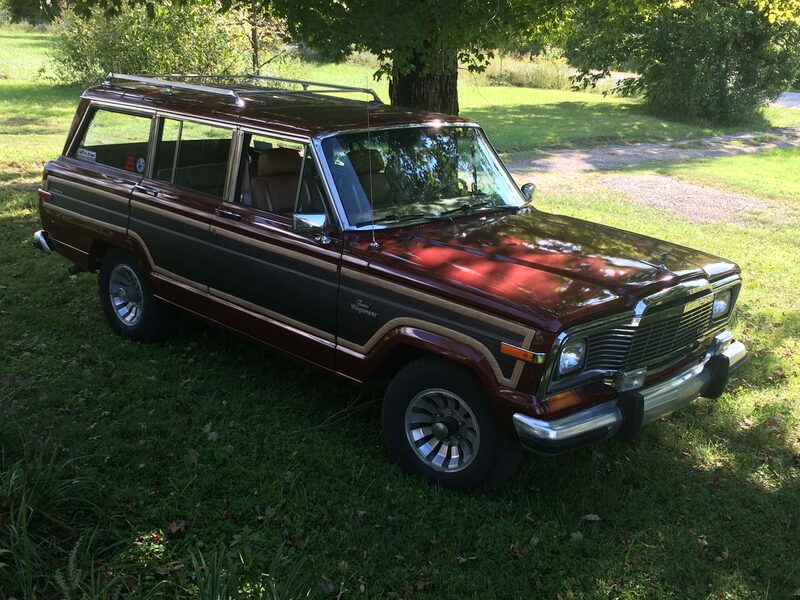 While I like Wagoneers that are bare, I have to have the woody look. 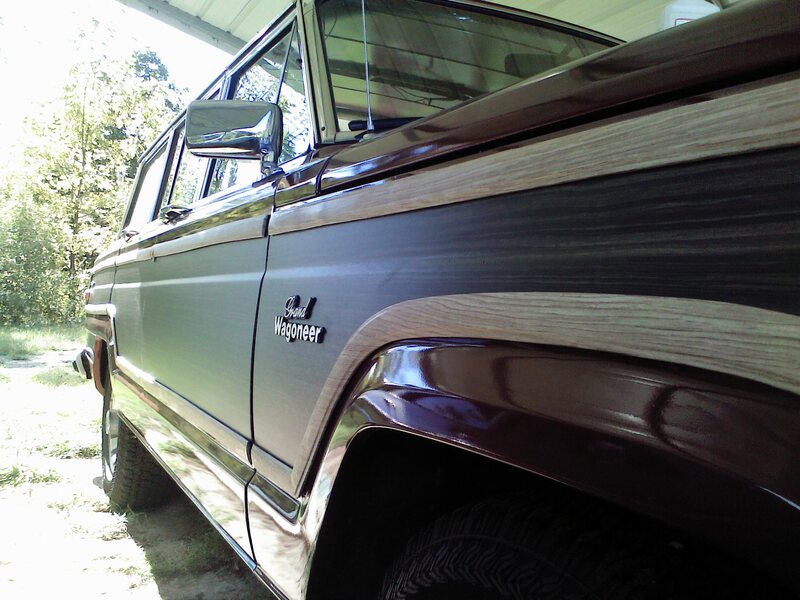 When someone talks about their Grand Wagoneer, until I see a pic or in person, in my mind it is always wrapped in wood. What I am looking for is a vinyl that will last another 35 years. One of the wrapping places close to me said their stuff will last about 5 to 8 years. 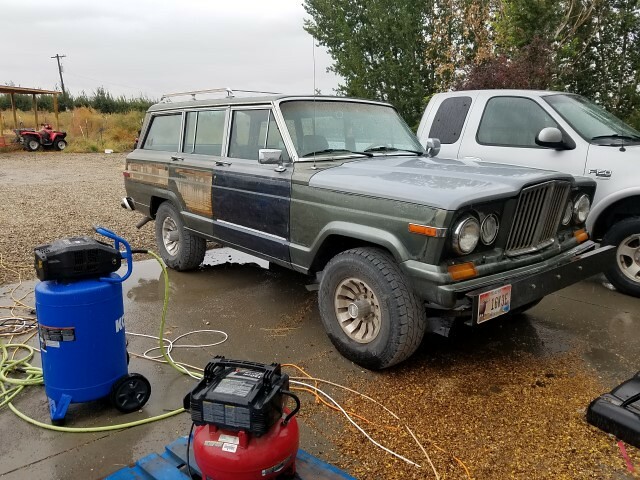 (The store rig out front was done 3 years ago and it is already super faded) I am hoping to build a shop within 3 years for all my tools and wood working machinery, then I can fit the Jeep in the garage. Until then... it will be outside like a wet puppy. 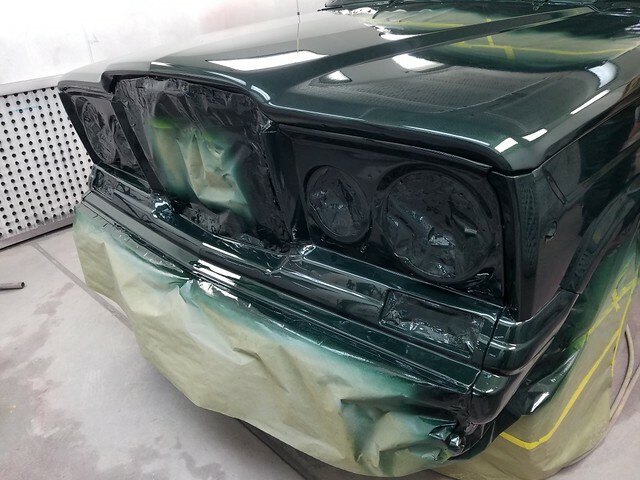 This is the panel the body shop replaced after the accident. 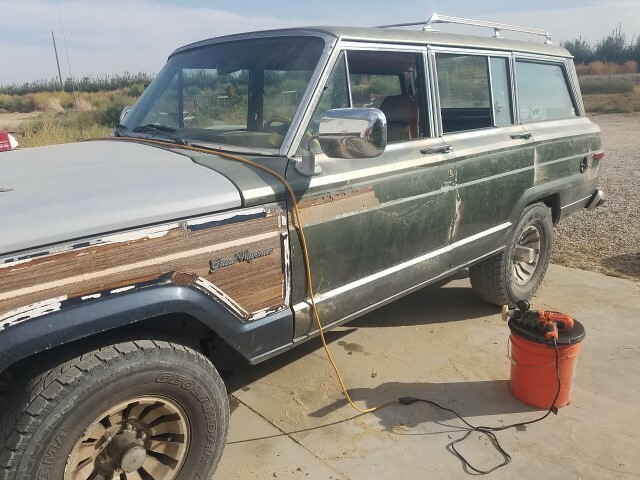 They said it had zero rust. It did too until I removed the vinyl. 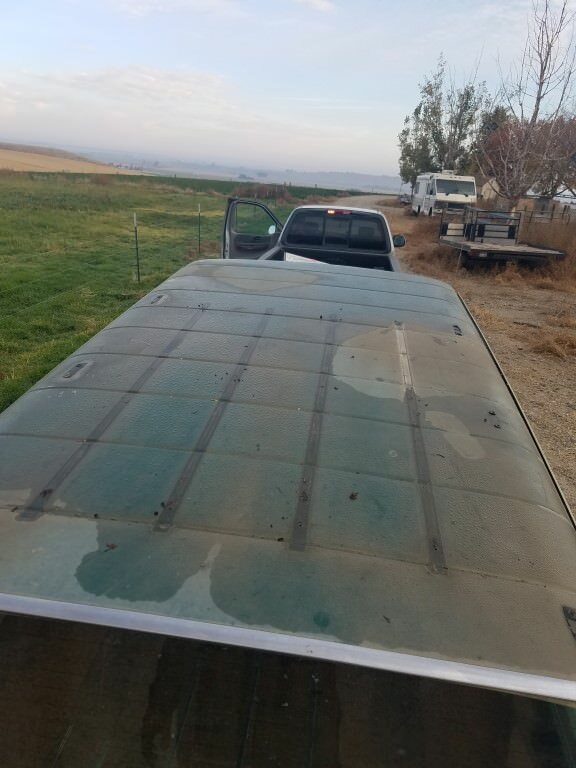 When I bought the Jeep, there was a pretty good sized ding in the door that 2 different shops said would be about 500 bucks to take out. 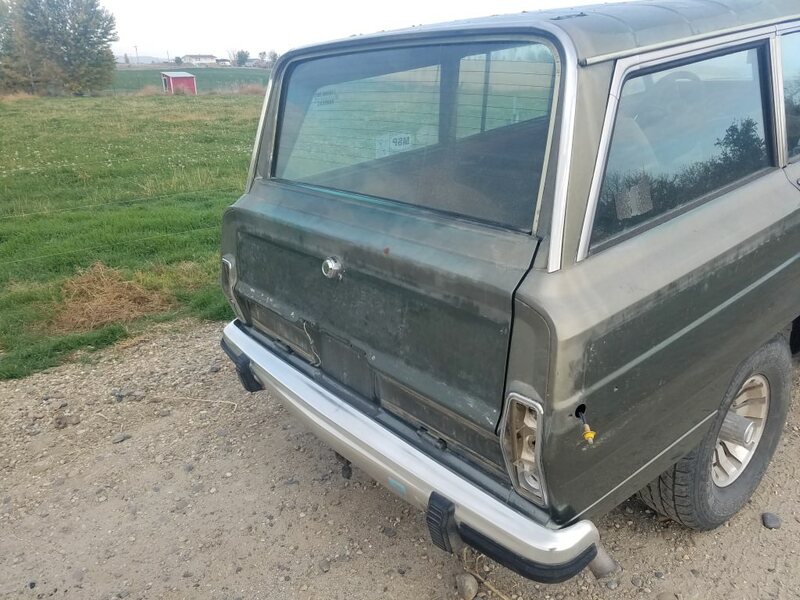 I found a door (after looking for a LONG time... GWs aren't easy to find around southern Idaho) and was apprehensive about putting it on. I shouldn't have been. The door itself was on in 20 - 30 mins. Getting it to close right and hang just so took another hour. They filled in the holes a little too well! 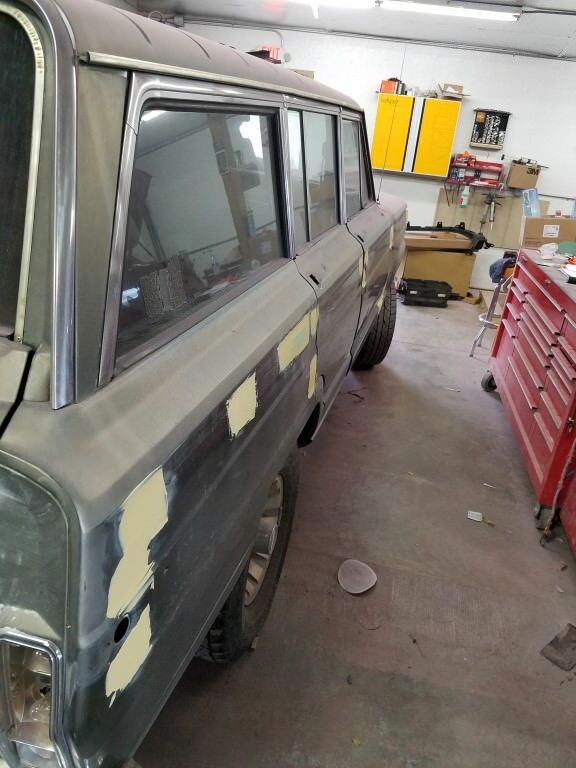 The lower tailgate holes where the chrome plates go were welded and covered... oh, well. I will have to tap them when I go to put everything back. 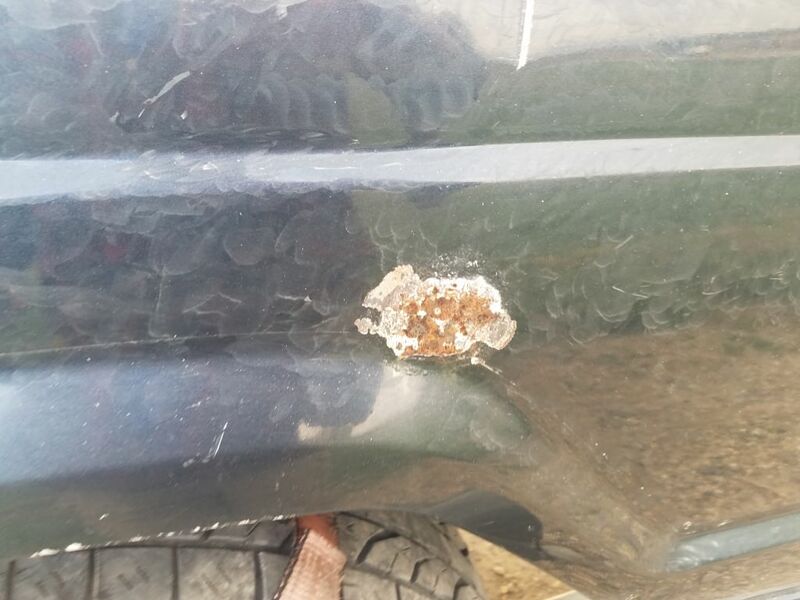 Notice the rusted spot... GONE. When she comes back, I am planning on some dynamat on the doors. Maybe inside the door too... not sure. Short list. Much shorter than when I started 2 years ago! Nice. 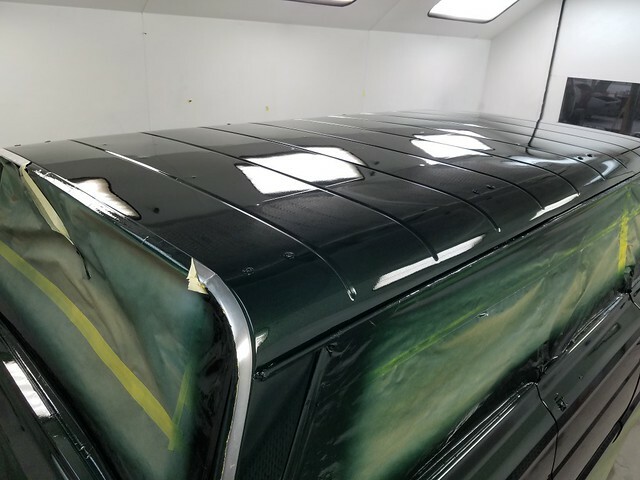 Bet you can't wait to see the finished product. 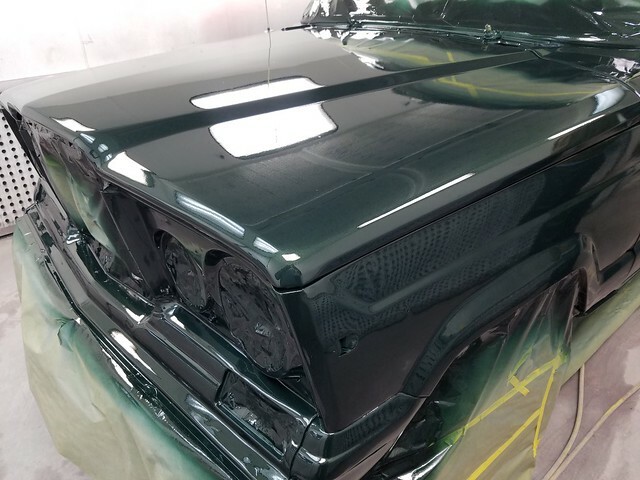 Biggest thing is allowing the paint time to gas off before reinstalling the vinyl wrap. I was thinking May/June anyway, so that should be enough time! 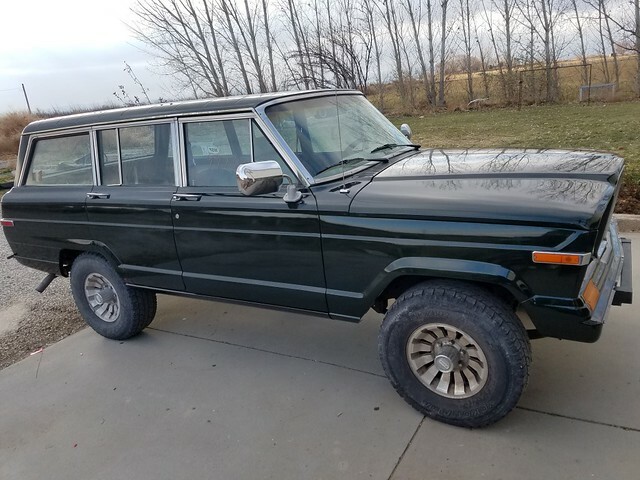 My insurance guy is having kittens about how to insure this... he cant believe that the book jumps from 5500 to 13k with just a paint job. Insurance is a legit question. 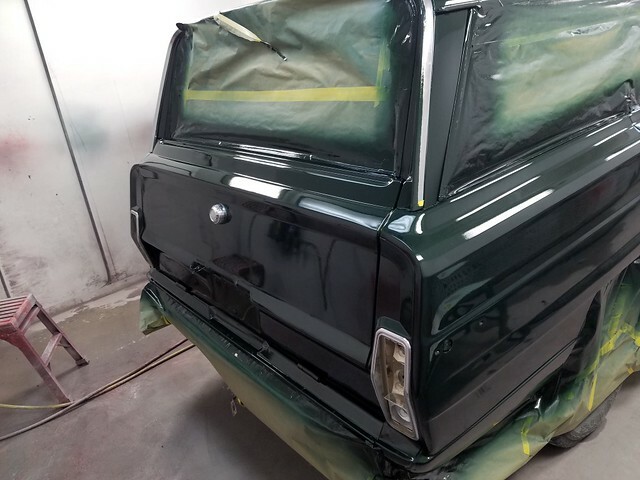 I am assuming I will need to go to Hagerty’s or somewhere to get mine insured once it is done. I imagine USAA will not be interested in carrying it once i have it appraised. Any other options out there? Looking forward to seeing yours progress. 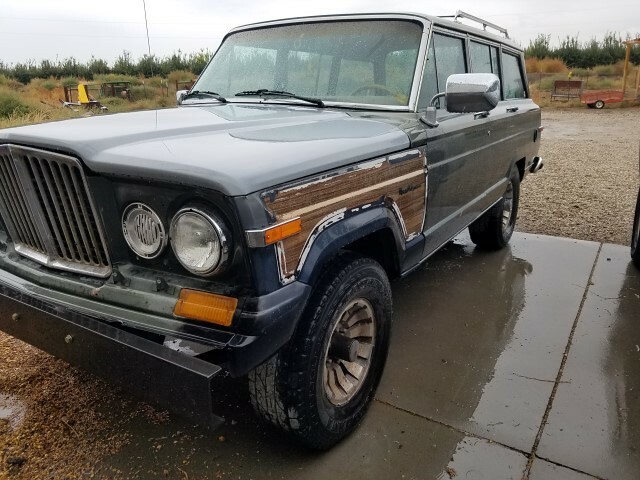 I was told 2 things by a classic car guy here in Idaho... travellers does a good job because they are brokers and can shop around instead of being locked in to an insurance pproduct, so look for a broker agent... and always keep records, receipts, photos of receipts, photos of before and after, document everything. Even if you do your own work... most good insurance brokers will try to work with you when it comes to appraisals if you have proof of work done. I stopped by Karcher Auto Body in Nampa, Idaho (mad props!) 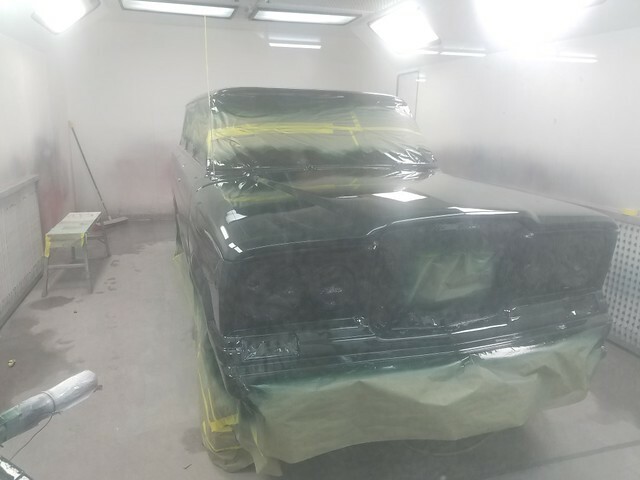 and saw my Wagoneer in the paint booth. My first look was an honest to god double take. I was seriously floored. 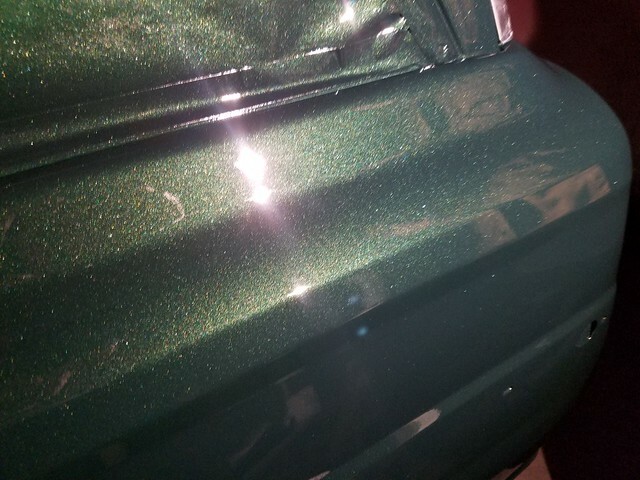 Ricky, the painter, was talking about pearl and Nordic Green and flake but honestly, all I saw was SPARKLES!!! I felt like a kid! He then turned out the light and shined a light and said this is what is will look like in the sun. 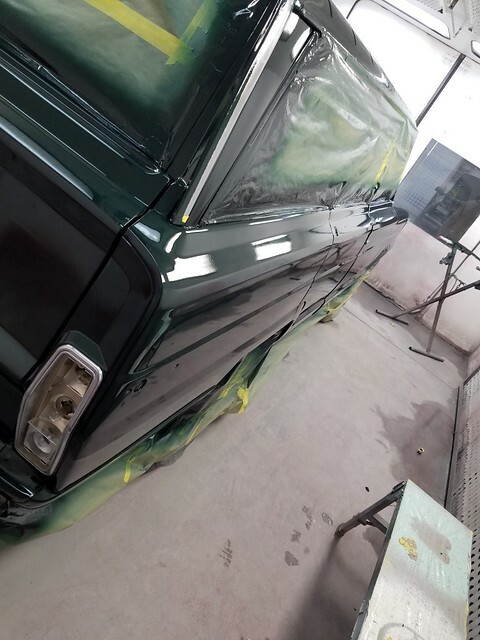 Jeff, one of the owners, was cool about my ignorance and talked me through a lot about paint jobs. So, as I understand it, it will be out gassing for 3 weeks and I can use a car wash, but it's a double edged sword... the brushless no touch car washes don't tough the vehicle but the chemicals are stronger and can eat thru the wax and clear coat while the touch car washes have dirt and grit from previous cars than can do damage. A hand wash now and again with a good hand wax every 6 to 12 months should be good and also keep it under cover. I have been cleaning out the garage so I can get this baby in, but my wood working tools are going to be stacked in the corner for a while. Worth it. Sweet man! That thing looks awesome! I wash mine by hand. Even if I'm lazy and go to a car wash, I use a bay and bring my own sponge. Then drive it immediately after to dry it off with minimal spots. Putting the wagon back together is taking about twice as long as taking it all apart.